The neighbourhood ‘De Nieuwe Stad’ in Ostend, Belgium, was built in 1972 by two social housing associations. The existing buildings are outdated, and the neighbourhood is struggling with the typical problems of post-war social high-rise neighbourhoods. It has been decided to replace the buildings and redevelop the entire site. 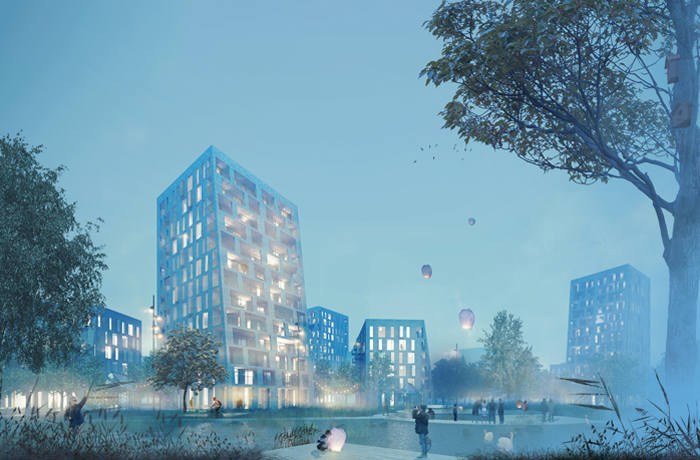 The proposal combines the ambitions of the clients and the city of Ostend with the wishes of current and future tenants within an innovative, inclusive and sustainable housing project. At different scales, new qualities are introduced. 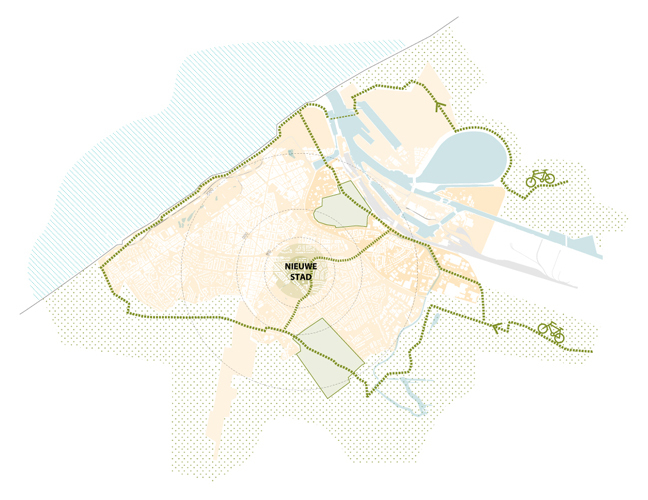 On the scale of the city, a new bicycle and walking connection between the city centre and the green belt around the city, following the course of a former creek, ensures that the neighbourhood is taken out of its isolation. On a district scale, the ‘Creek Park’, a spacious landscape park, increases the quality of life and the opportunities for social interaction and recreation. 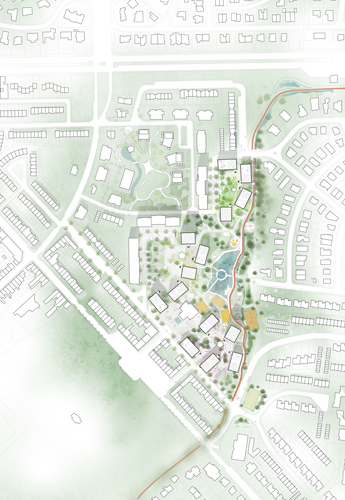 The ‘Creek Park’ becomes a new green centrality for the neighbourhood and the surrounding residential areas with space for the reopened creek, sustainable water management, recreation, nature and a pleasant path structure. 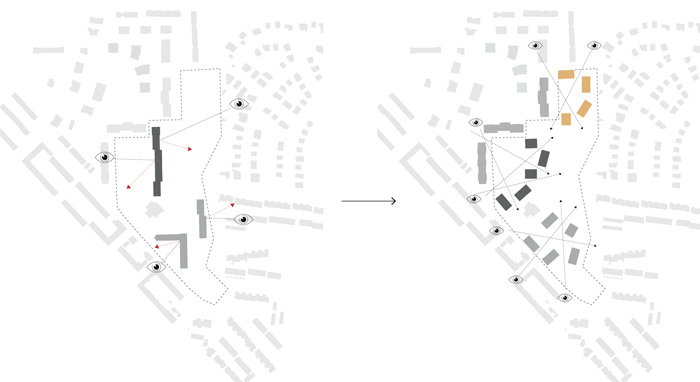 At neighbourhood scale, the sense of community is enhanced by collecting compact ‘houses’ around 3 distinct forecourts that act as a bridge between the existing and new buildings. Here, the entrances of the ‘houses’ are situated, along with playgrounds, neighbourhood functions on the ground floor and a compact car access and parking system. 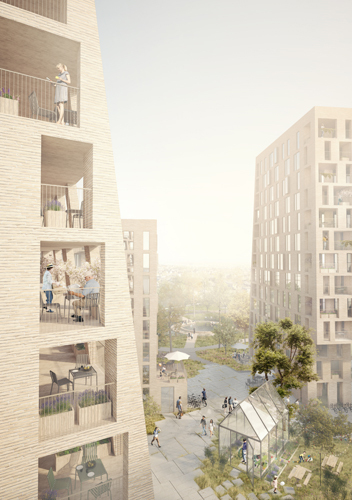 On the scale of the buildings, a sense of domesticity is stimulated by supplementing comfortably furnished homes with spacious terraces, generous views and shared spaces. The robust and refined architecture combines a strong new identity with quality of living, sustainability, flexibility and feasibility. A family of 10 ‘block houses’ (between 5 and 8 floors) and 4 ‘tall houses’ (13 floors) adds a new chapter to the residential landscape of Ostend and maximises the advantages of the position between the city centre and the Green Belt. 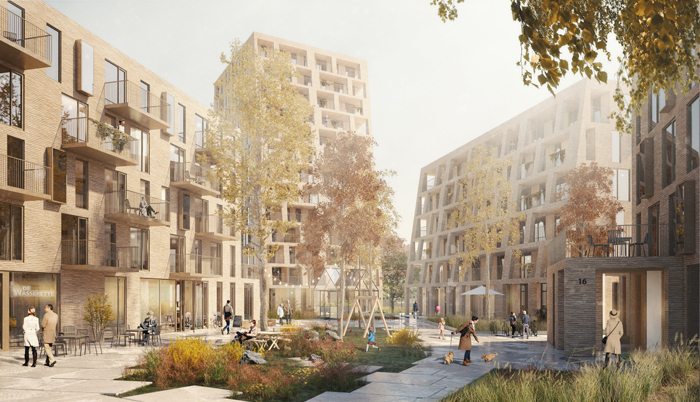 The compact ‘houses’ and the neighbouring apartment blocks are gathered around three forecourts, each with their own character. Inspiration for the architecture was found in the qualities of the existing modernist buildings, which, besides the beautiful view, are also appreciated for the large glazed areas and the wide terraces that offer a feeling of light and space. But also the surrounding residential areas and the historic villas at the Belgian coast were a source of inspiration. 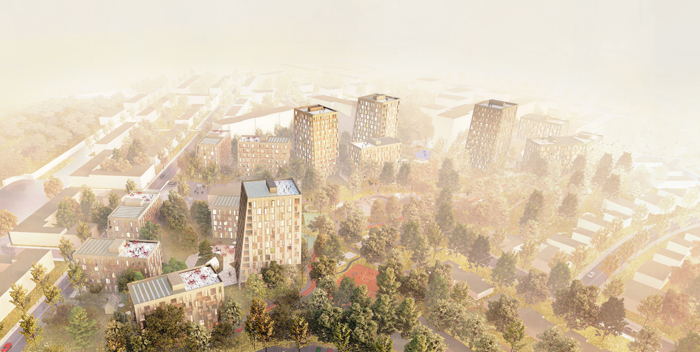 ‘De Nieuwe Stad’ can become a model project for densification on a human scale by focusing on a sustainable urban design with innovative housing typologies, the introduction of a strong sense of community and smart interpretations of social housing and the applicable standards.